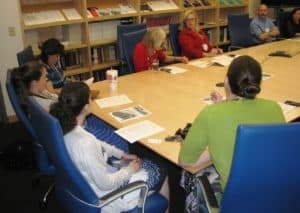 The Division of Health Services Research (DHSR), a division of the Department of Psychiatry and Behavioral Sciences at UAMS, focuses on health services research for mental health and substance abuse. DHSR’s successful research team includes 24 faculty and postdoctoral fellows, 39 research assistants/associates and programmers, and 14 administrative staff. DHSR includes three distinct VA research centers (HSR&D, QUERI, and the South Central MIRECC), all designed to be developmental centers stimulating further research in health services for mental health and substance use disorders. 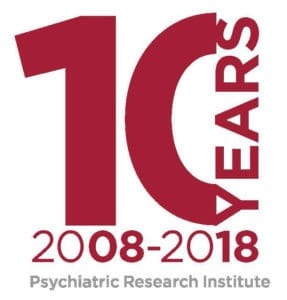 The Division has well-established collaborative relationships with many state organizations including the Community Health Centers, the Arkansas Department of Health, the Arkansas Department of Human Services, the Division of Behavioral Health Services and Community Mental Health Centers, and the Arkansas National Guard.For more than two decades, the Department of Psychiatry’s Division of Health Services Research (DHSR) has been recognized as one of the largest and more innovative health services research centers in the nation. Investigators affiliated with DHSR have received competitively awarded grant funding from NIMH, NIAAA, NIDA, VA, DoD, SAMHSA, HRSA, and the U.S. Dept. of Education. Grants: Since 1990, DHSR investigators have been awarded extramural grants worth over 80 million dollars in direct costs. Currently, DHSR faculty are PIs on grants from NIH, VA, SAMSHA, PCORI and DOD funded projects. In addition, DHSR faculty collaborate with a network of colleagues from across the country and are site-PIs on numerous sub-contracts of federally funded grants. Service: DHSR faculty serve as ad hoc reviewers and standing committee members on a variety of NIMH, NIAAA, NIDA, and VA health services research study sections. To improve the lives of individuals with mental health and substance use disorders by conducting scientifically rigorous research in close partnership with clinical and community stakeholders. We seek to test hypotheses about: 1) the determinants and outcomes of mental health and substance use disorders, 2) the clinical- and cost-effectiveness of new interventions, and 3) the effect of implementation strategies designed to promote the adoption of evidence-based practices in real world settings. DHSR accomplishes this mission with a highly trained multi-disciplinary research team. The investigative team works in close partnership with stakeholders, including individuals with mental health and substance use disorders, as well as with community members, informal caregivers, organizational leaders, and providers dedicated to delivering high quality, empirically-supported treatments. We prioritize our research projects based on stakeholder input, scientific theory, and clinical experience.